Carol Ann Whittenberger, age 74 of rural Akron died on September 22, 2018 at 12:00 p.m. at ManorCare at Summer Trace in Carmel, Indiana. She was born on July 27, 1944 in Fort Wayne, Indiana to Corliss and Eleanor (Warren) Rowland. Carol has lived in the Akron area for the last 18 years, previously living in Elizabethtown, Kentucky for 10 years and in Mount Morris, Illinois for 25 years. She graduated from Silver Lake in the class of 1962. Carol married Charles W. Whittenberger on November 2, 1969 in Silver Lake, Indiana. Carol was a housewife and homemaker and worked part-time at numerous jobs outside the home. She also worked several years full time at Walmart in Rochester, Indiana. She volunteered to help people wherever she was needed. At one time, she was a Girl Scout leader, a member of the Booster Club in Mount Morris, worked at Baskin Robbins, a cashier at Viking Foods in Akron, helped in an Illinois funeral home and currently at the Earl-Love Funeral Home. She will be greatly missed by all who knew and worked with her. She attended the Olive Branch Church in Roann, Indiana. 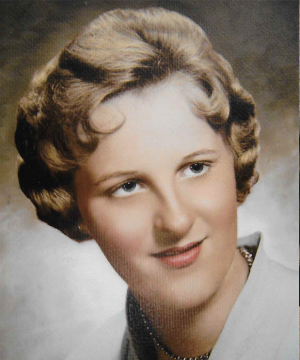 She enjoyed gardening and reading and was an avid follower of all the boys and girls sporting events at Tippecanoe Valley High School. She also attended all of the grandchildren’s sporting events when possible. Preceding Carol in death were her parents and husband Charles on September 1, 2015. Memorial visitation with friends and family will be October 1, 2018 from 11:30 a.m. to 1:30 p.m. Following the visitation will be the memorial service officiated by Pastor Jeff Sumner of the Olive Branch Church at the Earl-Love Funeral Home, 811 E. Rochester St., Akron, Indiana. Burial will be at the Akron IOOF Cemetery in Akron, Indiana. For those who wish to honor the memory of Carol, memorial contributions may be made to the Olive Branch Church or Wheels on Fire Cancer Crusaders in care of the Beaver Dam United Methodist Church. Envelopes will be available at the funeral home. The staff of Earl-Love Funeral Home considers it a privilege and an honor to care for the family and friends of Carol Ann Whittenberger.